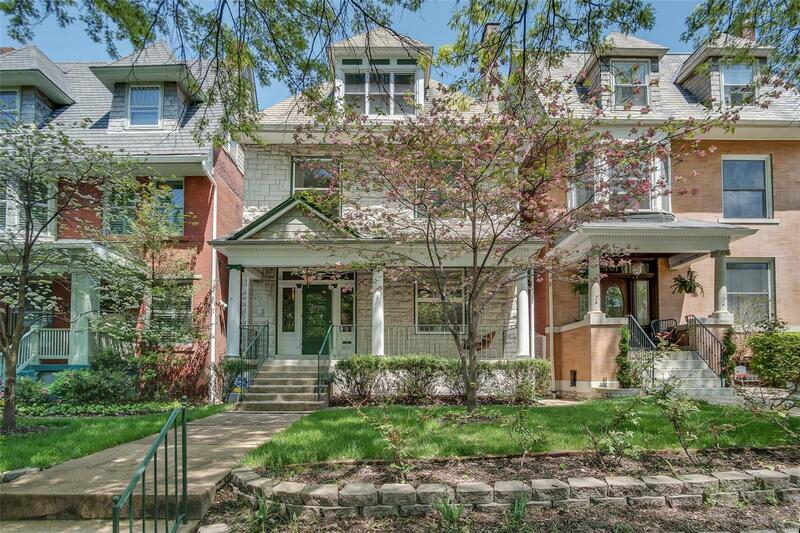 Buyers looking for the quintessential CWE experience will LOVE this gracious home on a sought-after block within walking distance to shops, restaurants & library. NEW UPDATES in 2018: *first floor powder room*, zoned high-efficiency forced air heating/cooling for both main floor and 2nd/3rd floors, 1st & 2nd floor hardwood floors refinished, fresh paint in LR, BRs and kitchen, some new plumbing. High ceilings, big windows, beautiful staircase and flowing floor plan offer a gracious and comfortable lifestyle. French doors from the DR to sweet back balcony, comfy front porch and back deck offer lots of outdoor spots to gather as well. Third floor has bedroom with attached full bath and a big rec room - great for nanny, 5th bedroom, in-law, guest or home office space. Updated kitchen has SS appliances and engineered stone counters.